Aquaporin 4 (AQP4) is a primary water channel found on astrocytes in the central nervous system (CNS). Besides its function in water and ion homeostasis, AQP4 has also been documented to be involved in a myriad of acute and chronic cerebral pathologies, including autoimmune neurodegenerative diseases. AQP4 has been postulated to be associated with the incidence of a progressive neurodegenerative disorder known as amyotrophic lateral sclerosis (ALS), a disease that targets the motor neurons, causing muscle weakness and eventually paralysis. Raised AQP4 levels were noted in association with vessels surrounded with swollen astrocytic processes as well as in the brainstem, cortex, and gray matter in patients with terminal ALS. AQP4 depolarization may lead to motor neuron degeneration in ALS via GLT-1. Besides, alterations in AQP4 expression in ALS may result in the loss of blood–brain barrier (BBB) integrity. Changes in AQP4 function may also disrupt K+ homeostasis and cause connexin dysregulation, the latter of which is associated to ALS disease progression. 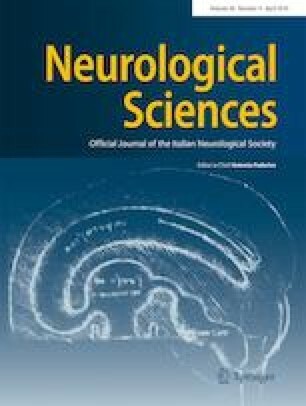 Furthermore, AQP4 suppression augments recovery in motor function in ALS, a phenomenon thought to be associated to NGF. No therapeutic drug targeting AQP4 has been developed to date. Nevertheless, the plethora of suggestive experimental results underscores the significance of further exploration into this area. Shuang Zou, Yu-Long Lan and Hongjin Wang contributed equally to this work. This article does not contain any study with human subjects performed by any of the authors.